Kennedy School: Of course I have to recommend my favorite Portland-based restaurant/hotel/movie theater/venue…Kennedy School. The Courtyard restaurant within Kennedy School has delicious entrees and a well-stocked bar. I recommend the NY Steak Salad and the dessert sampler. 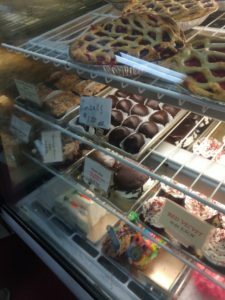 Cottage Bakery: In downtown Long Beach, there’s a family-run bakery that’s got a wide array of delicious choices. Doughnuts, bear claws, pies, rumballs, cupcakes…take your pick! The Lost Roo: This casual dining restaurant has an Australian theme and food choices that any Aussie would love. Try the Classic Roo Burger and an old-fashioned ginger ale. Chico’s Pizza Parlor: After a long day at the beach, sometimes you just want a slice of pizza, and Chico’s is the perfect spot. 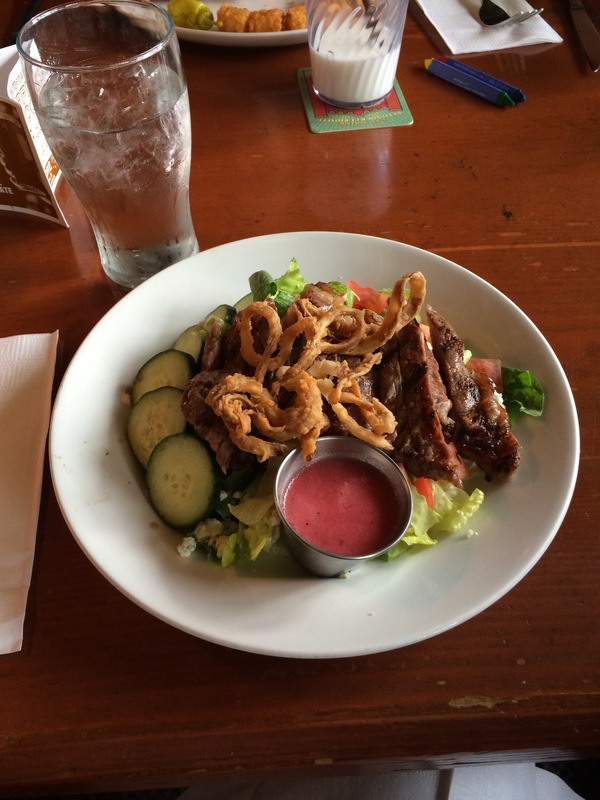 It’s good food, affordable, and a great location for large groups. Kozy Korner: As we were driving up the coast, we stopped in this diner. It’s exactly as it sounds…a cozy little diner and the food was delicious. 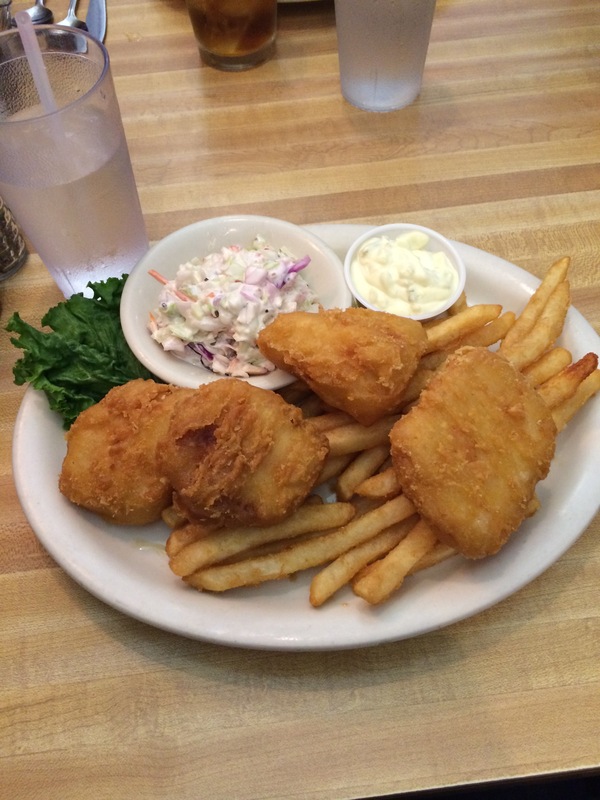 Make sure to try the fish & chips. Hope you enjoy these restaurants! !